Staff Development > AdventureSmith, Inc.
Providing third-party, professional staff development services and training for challenge courses, zip line / canopy tours, and aerial adventure parks. 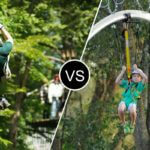 In the end, zip Line / canopy tours and aerial adventure parks will be measured most by the skill and effectiveness of their staffs. So much of the client’s experience (including their safety and well-being) is in their hands. From course orientation and interpretative commentary to equipment fitting, skill instruction, and emergency management, course guides / operational staff must master a complex body of knowledge and demonstrate proficiency in a variety of skills. The standards can be demanding. From fielding questions and handling difficult participants to taking sales requests and up-selling products and services, customer service and support staff must master a breadth of processes and sales techniques. 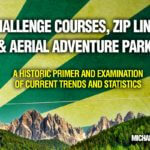 Developing and maintaining a successful zip line or aerial adventure park requires an ongoing investment in staff training, continuing education, and expert supervision. We’re here to help. 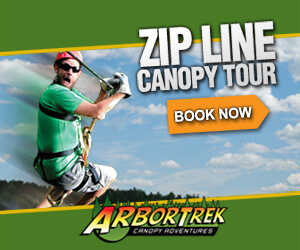 The job of zip line / canopy tour guides and aerial adventure park monitors can be stressful. In addition to requiring strong presentation skills and the ability to discuss any of a number of topics including local land issues, flora, fauna, wildlife, and natural history, guides must manage the risk of working with clients at heights, often thirty or more feet off the ground. With clients who are timid or struggle with a fear of heights or the loss of control, staff must offer coaching and compassion. On matters of policy and procedure, staff must be attentive, knowledge and proactive in enforcement. In situations where unusual conditions arise or accidents occur, staff must have the training and skills to respond in a timely and professional manner. Our experienced trainers take a thoughtful approach to designing staff development systems and delivering training specific to the needs of each client. 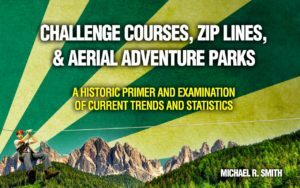 Our systems have been used to train thousands of challenge course facilitators, zip line / canopy tour guides, and aerial adventure park monitors. Contact our offices to schedule a training or to learn more about our custom training services. 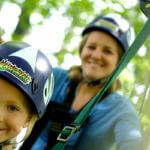 Contact us to set up a time to discuss staff development needs for your zip line / canopy tour or aerial adventure park.